Even a cursory review this book, we can say with certainty: if the author has set himself the goal to transfer virtually all training ammunition and supplies that have been used at any time in the traditional karate, he did it! Well, if you look not fluent and carefully, useful in training things, gizmos and gizmos here every lavished. Of course, in today´s sports world, some of them can quite successfully be replaced by "European" counterparts (eg, Japanese "dumbbell" - on quite familiar and comfortable traditional), but everything else was the same, it makes sense to stick to traditions. Otherwise, you will be able to grasp the essence of the developments powerful tsuki or practicing strong capture? Even seemingly familiar to any boxer bag has its own characteristics and "cunning" (tethered "arm" greatly facilitate the simultaneous time between skill acquisition and impact), not to mention the typical "Okinawan" invention - makiwara. 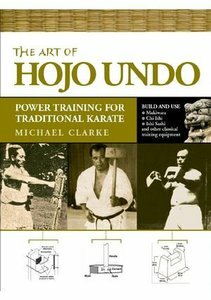 If your goal - to grasp the true essence of karate and mastering all its aspects, this book - a real gift, which can be a long time to study and reread, and most importantly - learn how to tinkering.